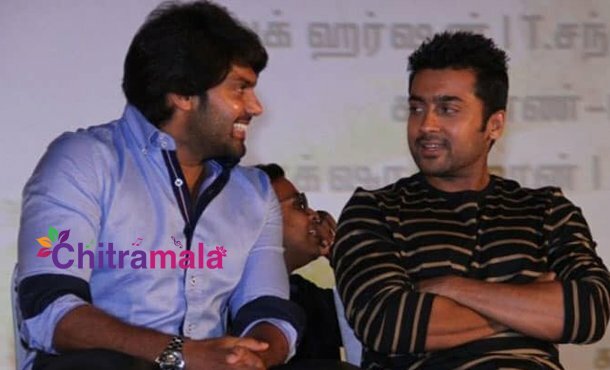 Arya Turns Villain For Suriya's Next? Arya Turns Villain For Suriya’s Next? Suriya Siva Kumar, the top Tamil hero is doing a film with the director KV Anand. Earlier, the combination generated the hits like Veedokkade and Brothers at the box office. This is the third time collaboration between the actor and director. The yet to be titled film is tipped to be an action-thriller. The film is going to be made on a grand scale by Lyca Productions on a lavish budget. The regular shoot is currently progressing in London. Sayyeshaa Saigal, Mohanlal, Boman Irani, Allu Sirish, and Samuthirakani are part of the film’s casting. The interesting rumor about the movie is that Arya has been roped in to play the antagonist. As of now, the development is not confirmed but the strong buzz in the industry suggests that Arya is finalized as a villain in the film. The makers have plans to shoot the movie in New York, Brazil, England, Hyderabad and New Delhi.